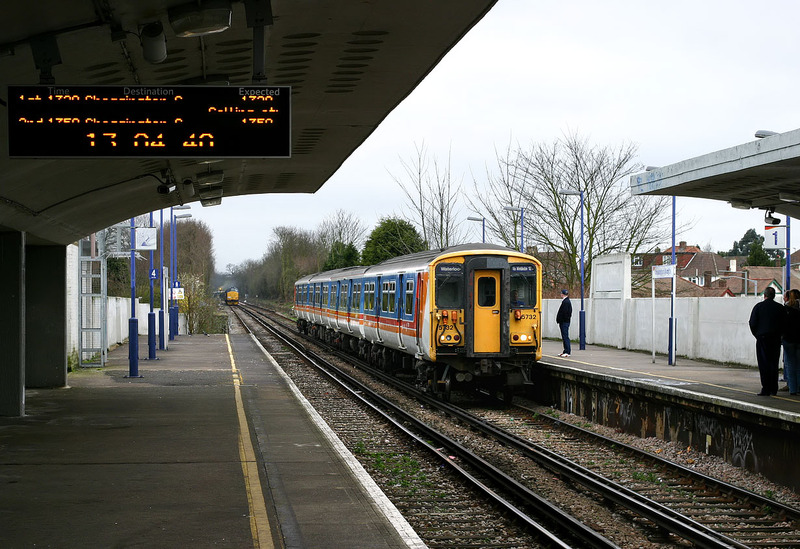 Class 455 5732 arrives at Chessington North station on 20 March 2004 with the 13:03 Chessington South to Waterloo South West Trains service. Just visible in the background is the focus of all the interest on the right hand platform. 37203 is on the rear of the Pathfinder Tours 1Z91 'Buffer Puffer - The Return!' railtour, which will shortly be returning from the end of the line. The garbled destination board is not at fault, but this is merely how the modern signs record in pictures.